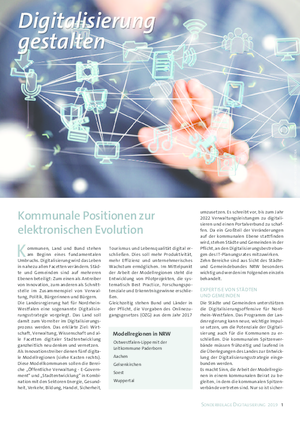 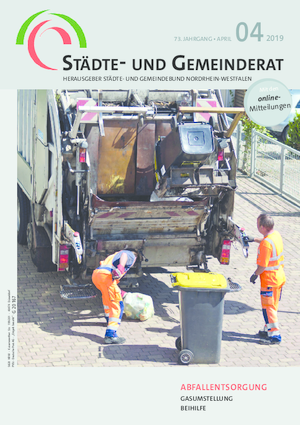 The STÄDTE- UND GEMEINDERAT (TOWN AND MUNICIPAL COUNCIL) magazine is the monthly periodical of the North Rhine-Westphalia Local Authorities Confederation. 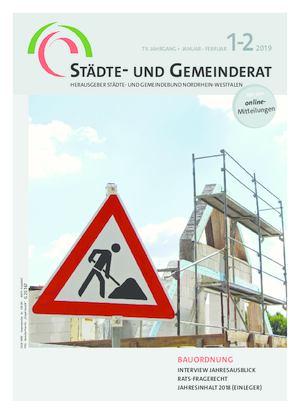 It is the only independent specialist periodical for municipal and state policy-making in North Rhine-Westphalia. 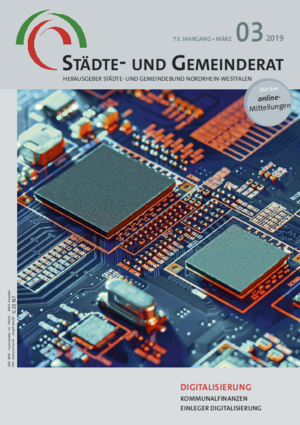 Since November 2009, the magazine has been appearing together with the StGB NRW-MITTEILUNGEN (BULLETINS).